Let me start off by saying that I really hate being the only reviewer to give a beloved new shoe model a less than stellar review. It stinks. I feel like a jerk. But I have integrity, dammit! I’m just reporting the facts, here, folks. Okay…that’s a lie – mostly everything in this blog is heresay and opinion – but hey, a fact or two does slip in ever so often. Back to the review. I wanted to love this shoe. I really did. The Merrell Vapor Glove was fabled to be the second coming of the almighty KSO. This model was supposed to become the next new be-all, end-all of the minimalist road shoe. I was ready to love this baby for as long as it held together, or at least until Merrell made something even better to replace it. Well, as it turns out, the first thing happened a lot sooner than expected. But let’s tell the story from the beginning. I got my pair in the mail a couple of weeks ago. I rejoiced. I thanked my Merrell contact profusely. I put them on. They felt awesome. They looked awesome. I rejoiced even more. And then I took them out for a seven mile run, without socks. Here is where I’ll pause to applaud the greatest thing about this shoe: the sole. 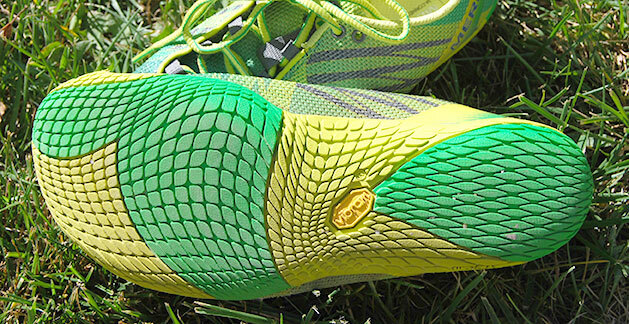 Zero drop, 5mm of flexible Vibram TC1 rubber, the only thing between you and the earth. 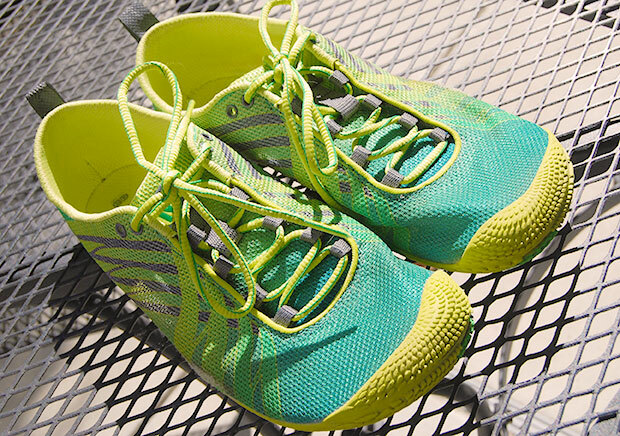 By feel alone, this shoe is as flexible and light as my reigning favorite, the Vibram See-Ya. The Vapor Glove sole just rocks. It’s just the right thing. And then there’s the upper. It is gorgeous and colorful, and at first glance it really seems quite open, spacious. I mean, the whole shoe has this pleasant, slipper-like feel, reminiscent of what VIVOBAREFOOT usually does. My kind of shoe, right? Well, about two miles into that run I started to feel some rubbing at my toes, from the upper crinkling in as my feet bent and flexed. At first I suspected sloppy form, since I was headed up a hill at the time. But soon I realized I’m feeling it in both feet, which is usually not a form issue for me. A mile later I stopped to take them off and wrap tissues around my chafed toes (I always have something with me that can double as toilet paper). Eventually the paper rubbed away and the toe chafing got worse, until it eventually became numb. That’s usually not a great sign. I stopped the run at 7 instead of 10 and by the time I got home I had three abrasions on my toes that needed significant wrapping every time I wore shoes again for the following week. Figuring that the issue was probably just a combination of my soft sock feet (I wore socks all winter) and the unfortunate placement of my toes in the shoe, I waited a couple weeks and then took the Vapor Gloves out for another four-mile spin by the beach. This time I wore socks. The run was fabulous. 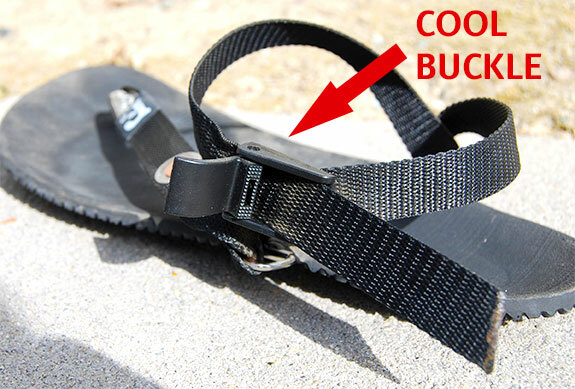 But, I didn’t notice until I got home that I had managed to rub off part the upper, on the outside of the shoe just below the bones of my pinky toe. 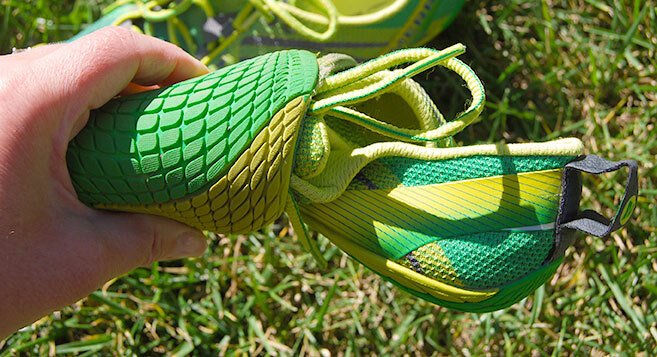 Where there should have been bright green mesh attached to rubber, all I could see was my black Injinji sock. 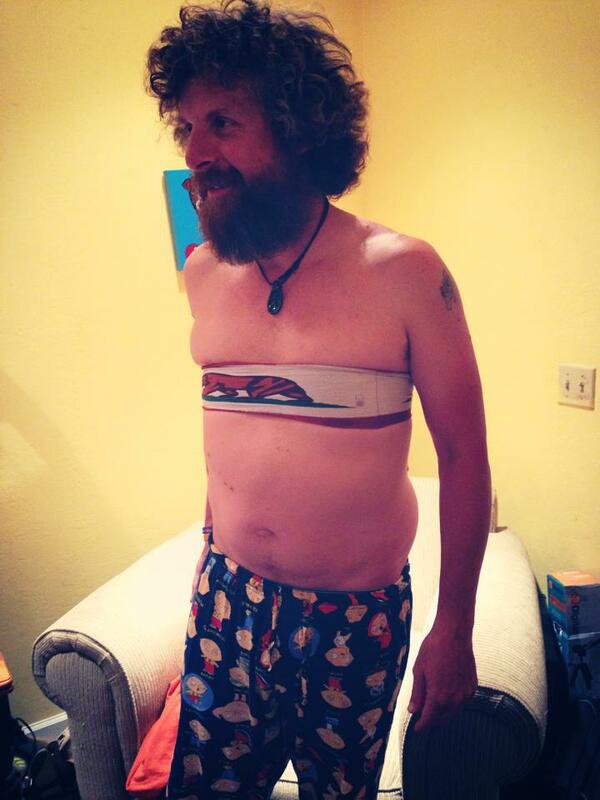 What the hell. As I stood there in disbelief, I shifted my foot around in the shoe. At first glance there seemed to be plenty of room on the sole for my foot. There was even a quarter inch of space between my big toes and the inside edge of the sole. What gives? So then I took a few steps, and I realized that the way the last is shaped, it forces my foot to shift so that the lateral side pushes out. Result: I spent 11 miles running on the upper of my shoe. Bam. A possible added issue: the sole is really razor-thin and doesn’t continue very far up the sides, like you’d see on most shoes. By this regard, the super- thin sole has a slight disadvantage: it’s so flexible that instead of my foot being cradled in, it is allowed to move around the shoe and land in the wrong spot. I’ve been reviewing shoes for a few years now, but I’ve never broken one before. This is a first. 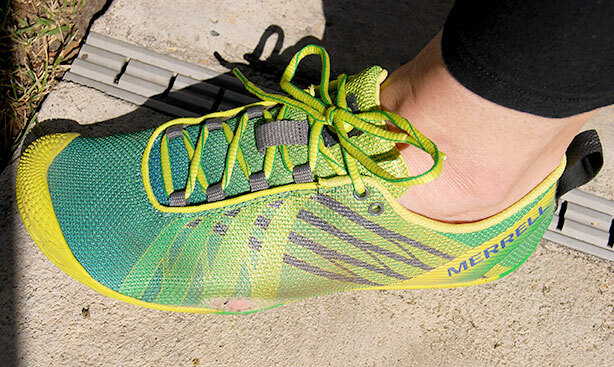 And I will say that I’m super bummed about it because, as I said before, I really wanted Merrell to come out with my next big, favorite minimalist road shoe. Not many minimalist companies have really nailed the road shoe so far, at least as compared to the variety of exceptional trail offerings out there. 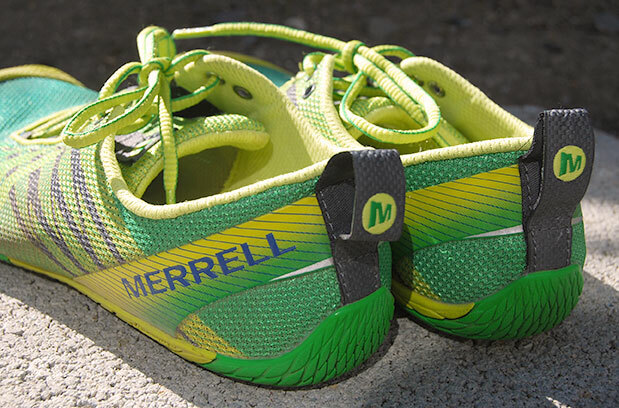 All that said, I still believe Merrell is headed in the right direction. 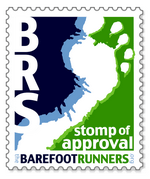 It’s really refreshing to see them take a plunge into the world of true “barefoot-like” footwear. The Vapor Glove has just the right sole: one that feels more like a light rock-and-dirt barrier than a shoe. The design is glossy, colorful and more on-trend than most of the stuff they make. But I can’t recommend this shoe to anyone with wide feet, unless you like dropping $80 on gorgeous running shoes that might only make it 10 miles. I’ll admit my foot is probably not exactly typical, and the Vapor Glove won’t be a fit problem for most folks with very straight, average feet. But I want to point out that a wider foot is at least somewhat typical for minimalist runners who spend all their time barefoot or in shoes that let their bones splay to their full potential. 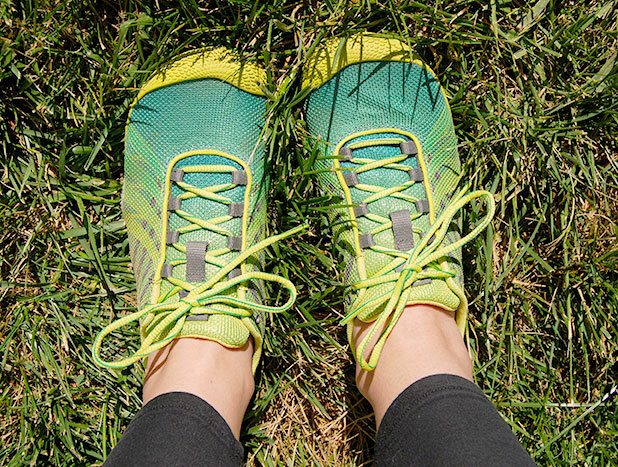 My feet have been the same width even as I’ve gained and lost weight through the years – but since I started running barefoot my feet have become even wider and longer. I hope the guys over at Merrell will think about coming out with a wide version of the Vapor Glove, or at least take this feedback on toward planning small changes to the next model. And if so, my Hawaiian feet and I will be waiting. 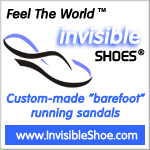 Categories: product reviews | Tags: Merrell, minimalist running shoes, vapor glove | Permalink. Thanks for the honest review, I’m sure Merrell will be very interested in your experience. My favorite shoe on the road is actually Merrell’s Trail Glove. I recently got the Trail Glove 2 and plan to review them soon (when I get round to it) but so far so good, although it was a worrying start with my first run in them. I’d love to hear about your first run in the TG2. I just finished my review of the women’s version on here. I wonder how our experiences compare. I finally got it posted – it’s interesting that you noted the pace glove 2 was looser than the original as I have the complete opposite with the Trail Glove as the Trail Glove 2 is tighter and I’m still having trouble getting it to feel just right. I also had negative experiences with the Vapor Glove. First of all it was nigh-on impossible to find the smallest men’s size – I could only find one pair in the UK and when I received it there was a slight coming apart of upper and sole which only the eagle-eyed experienced shoe buyer would spot, but I thought was enough to be concerned that after many miles it would be likely to come apart. So I returned them and there was no road test. Months passed and I simply couldn’t find another pair in my size so ordered a ladies version instead. These arrived and passed my inspection so I took them for a spin. After only half a mile or so the base of the tongue on the left shoe had begun to scrape the top layer of skin off one of my toes. I removed the shoe and found that the tongue on the left shoe wasn’t entirely covered in fabric in the same way as the right one, thus exposing the harder material underneath. So I returned this pair. Perhaps I was just unlucky! Like you my current favourite shoe is the Seeya (I wear the ladies version because you can’t buy the 2 smallest men’s sizes in Europe and Vibram won’t allow American traders to ship to Europe) and I’ll be sticking to that for now. Keep up the good work (I too plan to blog about my own experiences but I haven’t got around to it yet) and happy running. Thanks for your feedback, Alan! I’m sorry you too had a weird experience with this shoe. I really wanted it to be the perfect thing ever! But nothing really ever is. Enjoy your SeeYas!